A toddler curriculum would not be complete without a fish unit. Enhance your teaching material with these crafts. Although they could be used alone, they work well as supplemental projects. Most toddler crafts, including these, will require help by the teacher. Many teachers also have a craft model completed for reference. Along with this help, your toddlers will be learning about fish, and having classroom fun in no time! Start this craft off by handing out the piece of blue paper to the student, as well as the fish sponge. You can find fish sponges in craft stores, or simply make your own from kitchen sponges cut by you to look like a fish. The fish in the picture were created from one of these kitchen sponges. Have the students place the sponges in the white tempera paint, and then place the painted sponge on the blue paper multiple times. You will need to act as a guide to your students helping them to place the fish around the paper. After some fish are placed, you and your students will begin to see a school of fish appear. Allow for the paint to dry and then place an eye on each fish with the marker, finishing the "school look!" 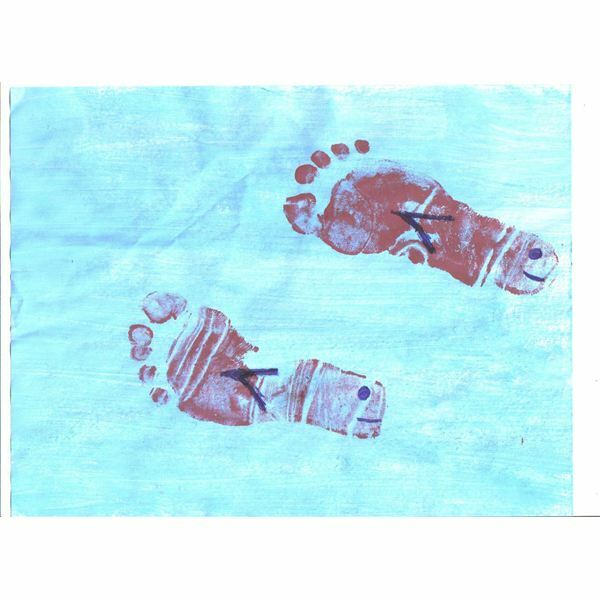 Your toddlers will have a blast making fish out of their footprints with this craft! Have the tempera paint ready in a shallow container. Have the child place one foot into the paint then onto the piece of paper. Make sure you stand close to the child to act as support, a guide, and as a cleaner to the painted feet. Once the first foot has been placed and cleaned, repeat with the other foot. Allow the paint to dry completely and then place an eye and a fin on the "fish" to complete the look. You and your students will be able to create very cute fish along with capturing a moment in time with their footprints! This craft is simple enough to be used in a toddler classroom. Your students will be able to enjoy creating their very own fish in a few steps along with your guidance. 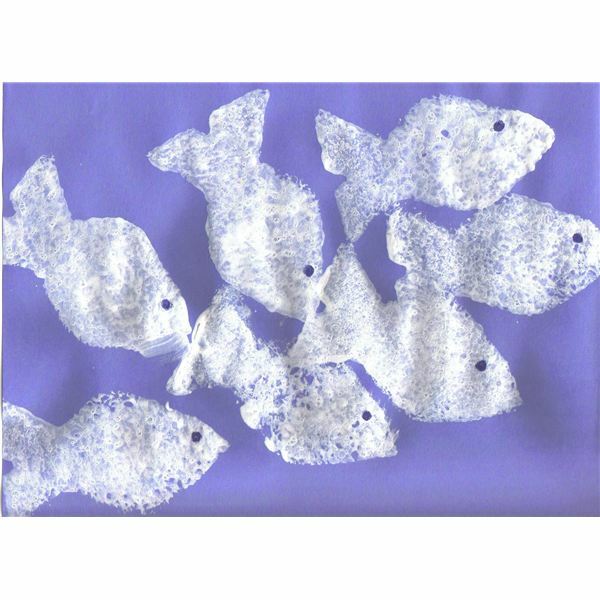 Begin this craft by handing each student the blue piece of paper, along with the other pre-cut pieces of paper that will later be used to create the fish. Place glue in the center of the blue piece of paper and have the child place the green fish cutout on top. Once this is completed place glue where the eye would go and have the child place the white circle. Repeat this step with the black triangle fin. After the child has created their fish, place a dot with the marker in the middle of the white circle to form the eye. Watch the delight in your students' eyes when they see that they built a fish of their own! 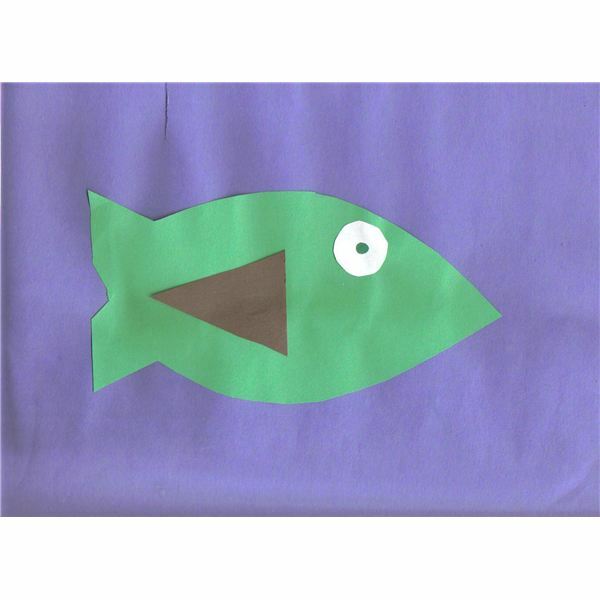 These toddler fish crafts will have your students learning about fish in no time. These hands-on activities will be perfect for any fish themed unit or lesson plan. Try them in your classroom today! The information offered in this article is based on the author's personal experience as an early childhood professional.